I love Greek mythology. I hadn't heard that story though. 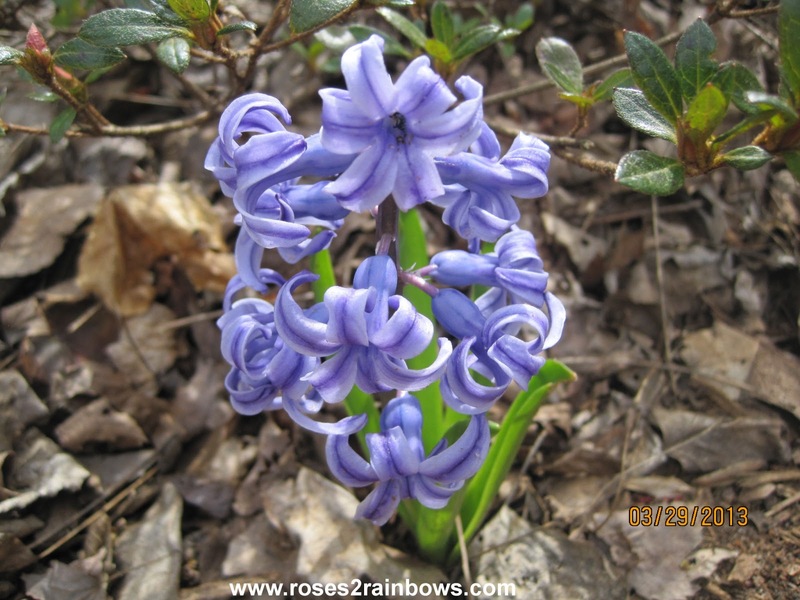 I love hyacinth and have white, purple and pink ones in the garden. I get so excited when they bloom, because I planted them near the front entrance and every time you step outside, you get a whole lot of that heady scent. Didn't know this story, Linda. Thank you for sharing it. Very cool. Wow! I never knew that story! Talon- They do smell so good. I should plant more. Meleah- I didn't know it either. I was just going to post the picture and write a few lines about the flower. Then I read the mythology part and that tied it all up for me. That's interesting! I didn't even know the Hyacinth was poisonous. I'm not sure we have them where I live. At least I don't recognize the flower, but if I do see it, I'll definitely be careful now. 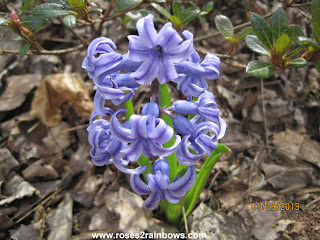 The Greek mythology was also interesting, especially the Hyacinth being associated with rebirth. Sara - Fortunately it's just the bulbs that are poisonous. I hope you find some in your area. Their scent is wonderful.